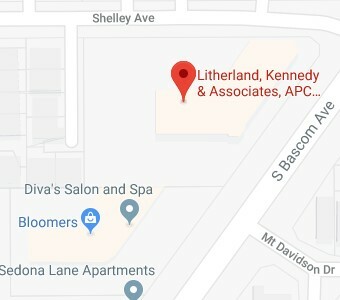 The Litherland, Kennedy & Associates, APC, Attorneys at Law presents seminars on numerous educational topics to any group or organization. These FREE educational seminars are offered by The Litherland, Kennedy & Associates, APC, Attorneys at Law to non-profit organizations, employers, associations, special interest groups, support groups, and financial advisors in our community. This list of topics is not all-inclusive; if you have a specific topic in mind you would like us to discuss, please let us know. To see a list of our Corporate and Non-Profit Presentation Sponsors, click here.